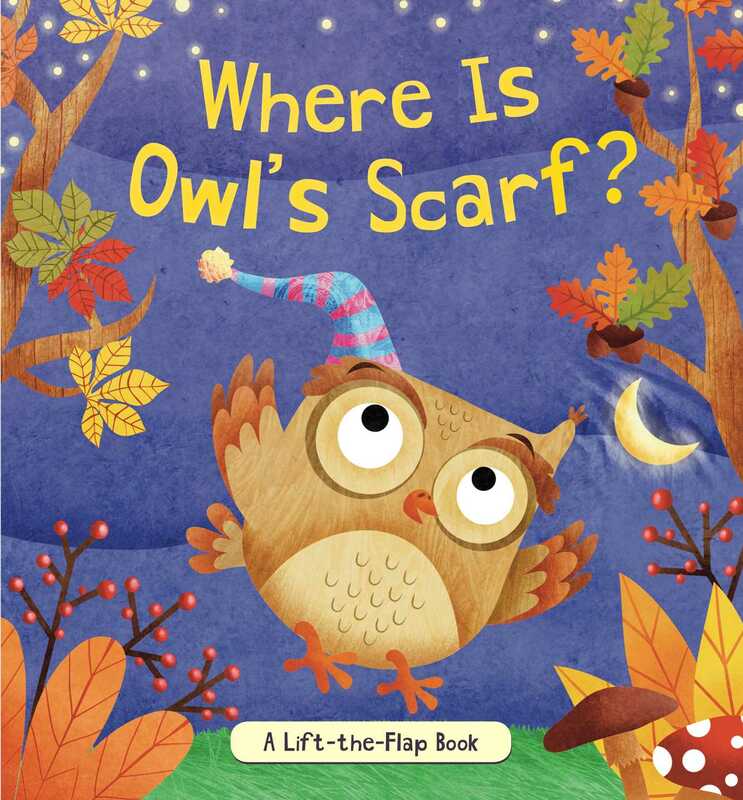 Help Owl find his scarf in this adorable lift-the-flap book! Owl is getting ready to sleep. He’s tucked in, snug as a bug. But something is missing—his scarf! Owl is looking for his scarf. Is it between the branches? No, that’s Chipmunk! Is it behind the pumpkins? No, that’s Fox! Where can Owl’s scarf be? Little ones can lift the flaps in this adorable book to reveal cute forest critters, including a chipmunk, a fox, a deer, crows, a raccoon, a frog . . . and finally a turkey, who has Owl's scarf! The large, easy-to-lift flaps are perfect for parents and children to share. Book Cover Image (jpg): Where Is Owl's Scarf?